Bummis prefolds are made from organic cotton and come in a pack of 6 in newborn, infant - small or baby - large. Prefolds are made from layers of cotton with more layers in the centre panel, they are either folded in 3 and placed in a wrap, they can also be folded and fastened with pins or nappi nippa making them more like a fitted nappy, prefolds can also be used as inserts in pocket nappies. 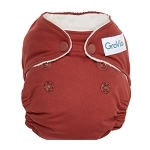 Bummis prefolds are hard wearing and can often be used by at least 2 children. 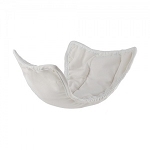 Prefolds are a ideal way to increase your nappy stash especially for newborn babies who get through a lot of nappies, once outgrown the prefolds can be used as boosters for overnight. Made of 100% certified organic cotton twill! 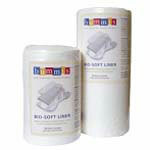 * These inserts must be washed and dried 3-5 times before using to remove natural oils and waxes. They will shrink approximately 20-25% after completing pre-washes. This is perfectly normal! 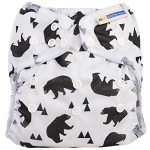 Each half dozen cloth diapers comes in an organic cotton bag. 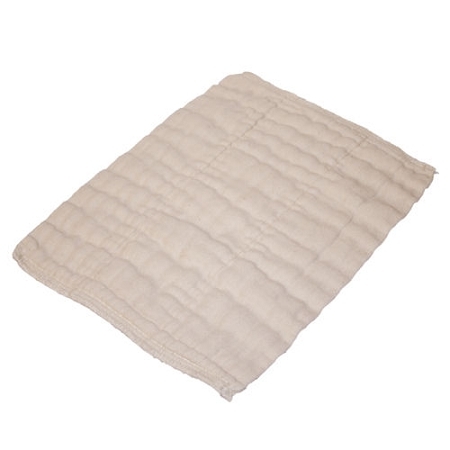 Love these prefolds, I like the unbleached look, and the organic cotton is so absorbent and lovely and soft, I use them padfold in a cover, simple, easy, good quality prefolds. Just got these to give prefolds a try. 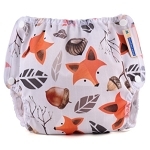 I've been using cloth for 2.5 years and have given almost everything a go these have so far done very well for us, they are super soft and so far absorbent enough for my son during the day.